animals | QuantumPhoenix.net – Esoterica, Paganism & Ritual Magic. March of the Mermaids is an annual seaside event organised by Hannah Chilton and friends – now in its 5th year. It is a not- for-profit event that aims to raise awareness and money for sea life and marine conservation. People dress up as mermaids, pirates and other sea-related characters / creatures from myths and stories…for a fine summer day by the sea (Brighton, UK)..and to raise funds. This video was filmed in July 2015 by Vathani Navasothy and edited by Mani Navasothy. Serpents & Dragons have always symbolised Hidden Wisdom, personal energy (Kundalini rising), sexuality, protection, fertility, Healing and transformation. From Python the Dragon who guards Gaia the Earth Goddess, NagaPooshani the Hindu Snake Goddess who removes Dhoshas & curses, to Wadjet the Egyptian snake goddess who adorns the crowns of Pharos & deities, Minoan Snake Goddess of Knossos, Cernunnos Lord of the Beasts, Myths and religious stories are full of deities who wield serpent power! This is a first in a series of workshops that introduce working with the new energies of 2016 and onwards, embracing change and facilitating self-transformation. There will be an opportunity to have contact with a real Colombian Rainbow Boa (snake) during this Introductory Workshop, as well as witness an example Fusion/ belly dance with snake (performed by Melanie). Workshop will culminate with a ritual invocation of serpent Goddess, brief oracular reading (akin to Priestess of Pythia), and a small snake-skin gift for your own personal work. Venue. The Atlantis Bookshop, 49a, Museum Street, London. Time Please arrive by 6.30pm for 7pm start. There will be a real live snake in this workshop. It will be in a secure container in the room, during workshop, and will be brought out for parts of the workshop. Those who have severe fears / phobias may wish to discuss their attendance with Melanie first before deciding.. 1-2-1 phobia dealing sessions / consultations are offered privately. 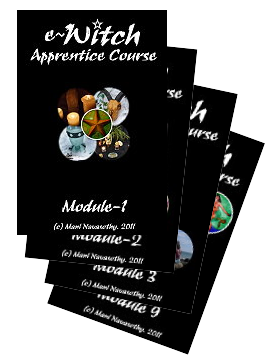 Further workshops will be aimed at exploring, healing,empowering and initiating transformations – in the realms of personal energies, Kundalini & sexuality. These will involve working with real snakes in rituals & ceremonies, sacred dance, meditation & pathworking and transpersonal explorations. In Spring 2017, there will be exclusive workshops to be held at a private venue for small-groups and 1-2-1 consultations that will include extended contact with one or more snakes. ** Melanie Philippides – Life Coach, Fusion Belly Dancer & Snake Charmer. 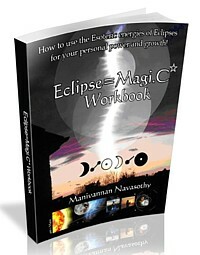 **Mani Navasothy – Wiccan High Priest, Hindu-Magician, Esoteric Author & Astrologer. I met Melanie first at the Birthday of Goddess Isis ritual by Cleopatra’s Needle, Embankment, in 2013.. but lost touch for a few years but was facebook friends. The photo below was taken at one of Melanie’s snake / fusion Belly dance performance in a venue in Croydon last October’15 where I met her again (and Shiva). We seem to have all that Game of Throne, snakes & Dragons magical explorations in common..and the result now of course are these magical joint workshops..
watch out for full details in a few days.. and then ..book fast…as spaces will be limited! Enormous Elephant Run 2016 (London) raises over £50,000! The Enormous Elephant Run- Fundraiser 10km run took place earlier this morning at Clapham Common. 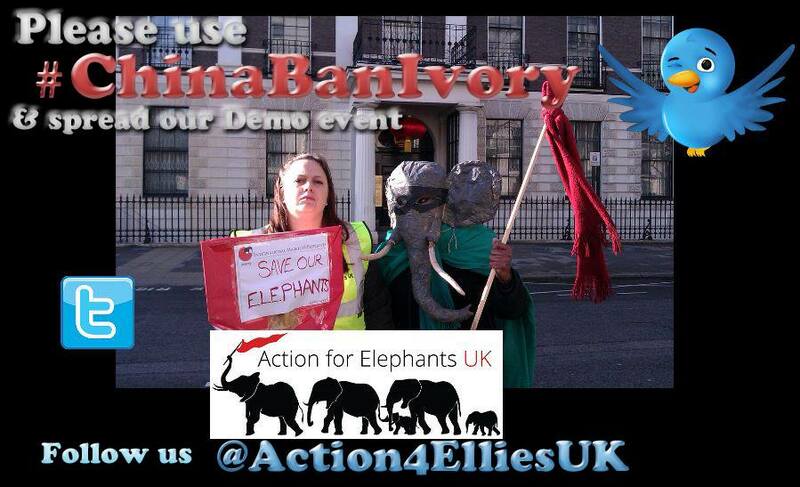 `Elephants’ & Supporters started gathering from 10am onwards (organisers were there from much earlier..setting up!). The run started at about 10.35am… and consisted of 5Km, 10Km and 15Km runs (1 lap, 2 lap or 3 lap of the path that zig-zagged in the Band-stand area of Clapham Common, South London). This is the 3rd annual such fundraising event, organised by `The David Sheldrick Wildlife Trust’ – which embraces all measures that compliment the conservation, preservation and protection of wildlife. These include anti-poaching, safe guarding the natural environment, enhancing community awareness, addressing animal welfare issues, providing veterinary assistance to animals in need, rescuing and hand rearing elephant and rhino orphans, along with other species . 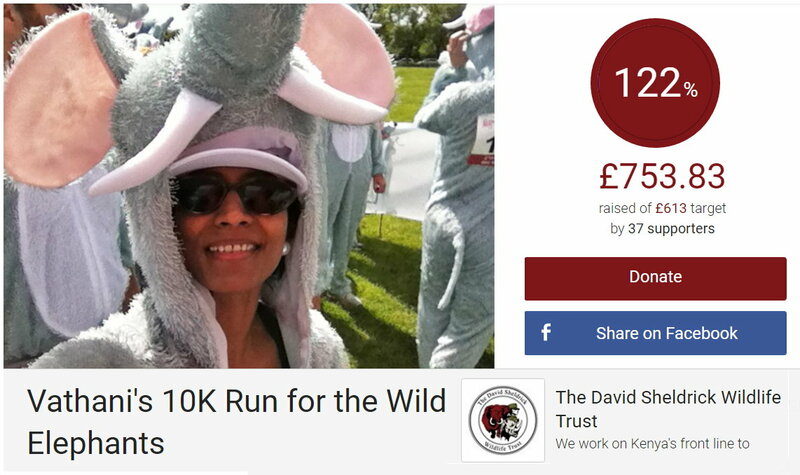 Many Congratulations to my sister Vathani Navasothy for raising over £750+ . 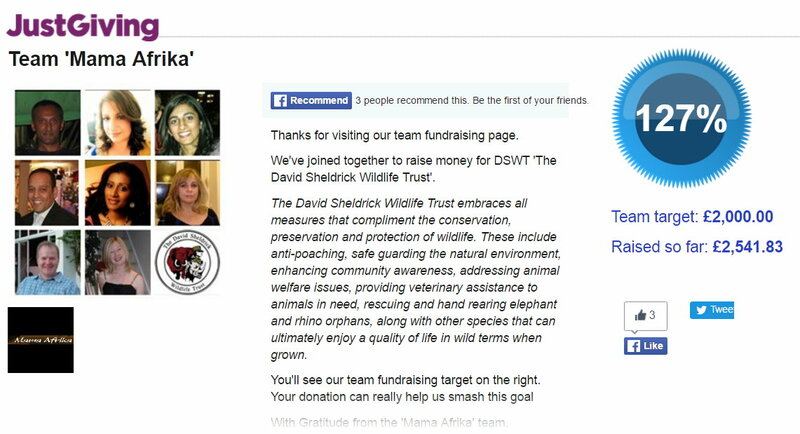 The team she’s part of (Team Mama Afrika) raised over £3,000 (offline donations still being counted). The `Enormous Elephant Run- London’ has raised over £50,000 of funds. I was thrilled to have been there for the last 3 years in a row when my sister has been doing this charity Run. Vathani has raised £612 (in 2014), £444 (in 2015) and £750 (2016).. totalling £1,806+. I will be adding photos & videos of this event in due course in a blog very soon. This is the 2nd big event of this type in London. The first one took place on 21st September 2014 (last year), which I joined with a number of friends..(and met ever more numbers of other friends along the way). 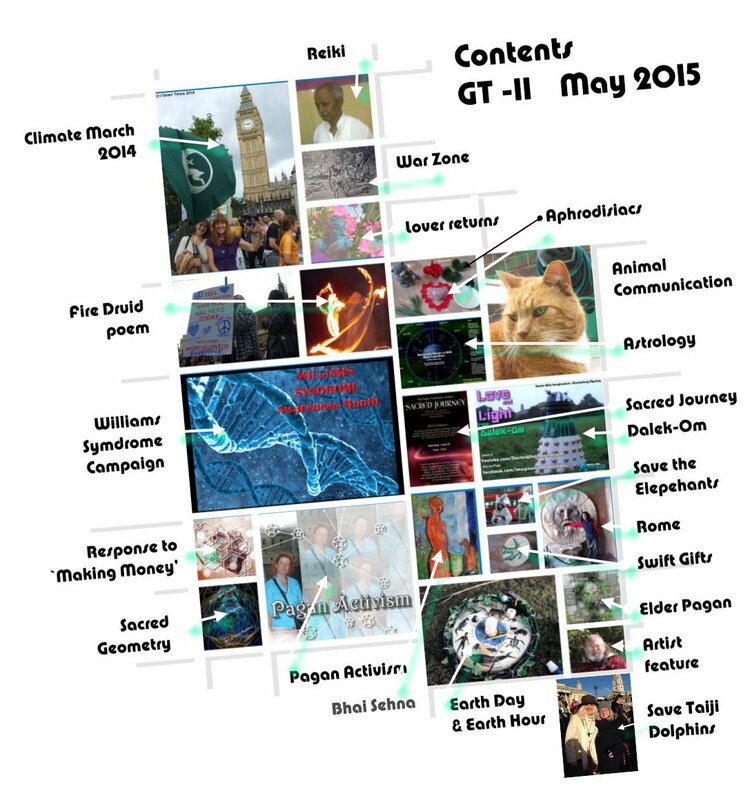 This year (2015), it’s taking place on saturday 7th March’15, and gathering in London from 12.30pm. Here’s the details – taken from the facebook page for this event. Join us on March 7 to bring a message of urgency which cannot be ignored. And together let’s continue to power up and celebrate our movement – locally, nationally and internationally – throughout 2015, and beyond. Join with others to walk together in solidarity on the day. Two weeks before the march we’ll pop up a bloc map. CHINA CAN SAVE AFRICA’S ELEPHANTS FROM EXTINCTION..!!!! Join us in at a protest outside the Chinese embassy in London to call on China to take urgent steps to help stop the slaughter of elephants for their ivory. We call on China to close its ivory-carving factories, to close its ivory retail outlets, and to end its domestic ivory trade. As the world’s leading consumer of ivory (over 70% of illegal ivory makes its way to China, to be carved into trinkets for affluent Chinese), China has the biggest role and responsibility in ensuring the survival of elephants in Africa. Unless China’s leaders take these urgent steps, we will soon be witnessing the last days on earth of these majestic, supremely intelligent and emotionally sentient creatures, who are being wiped out by poachers at the rate of around 100 EVERY DAY. If China takes the lead to save them, it will gain the respect and gratitude of people the world over. Also, it would be the single most important move to stop the trans-national criminal networks of poachers and ivory traffickers, and to halt the involvement of terrorist groups which are funded in part by ‘blood ivory’. We are pleased to have as speakers at the event Dominic Dyer from Care for the Wild International and Dr Trevor Jones from Southern Tanzania Elephant Project.